Eastern Canada may be a relatively tiny group of islands but collectively they boast an almost endless amount of opportunities for travel lovers of all kinds. From foodies to adventure lovers, there’s something for everyone to be found in Prince Edward Island, Nova Scotia, New Brunswick or Newfoundland and Labrador. And for those looking for some peace and quiet, Eastern Canada may be the place for you. 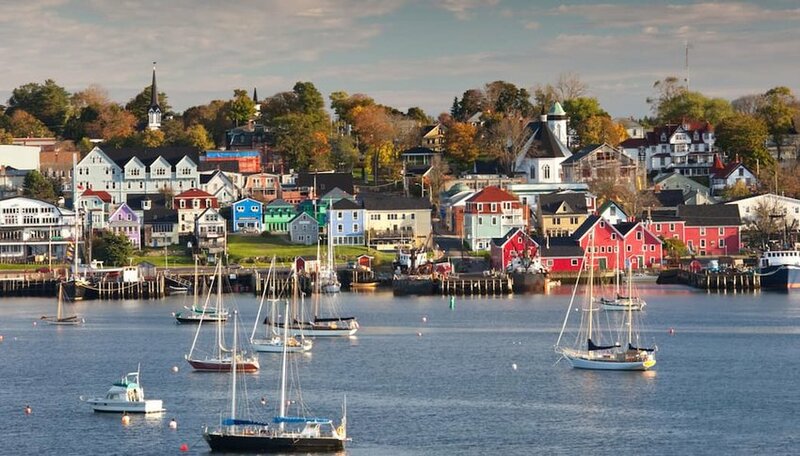 Even with summer onslaughts of tourist, most Atlantic Canadian towns and cities are quaint in all the right ways. This is a place you can find tiny working fishing villages set against a backdrop of award-winning vineyards and breathtaking vistas. Need more enticement? 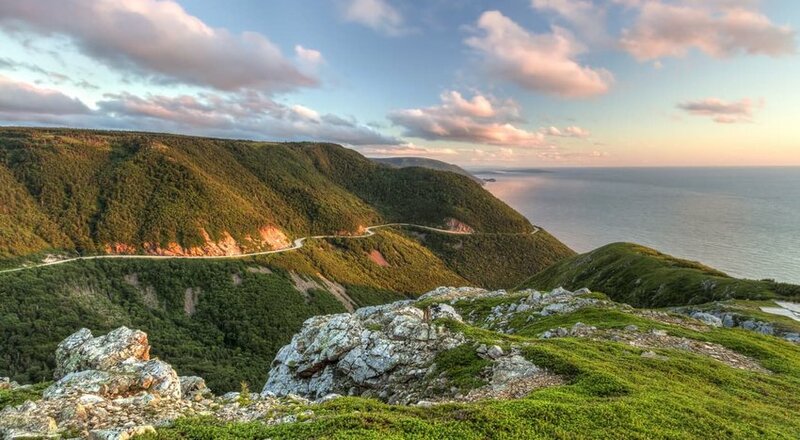 Here are seven of the top reasons to visit Eastern Canada in the summertime. In the meantime, start packing your suitcase. According to the Canadian Department of Fisheries and Oceans, some 254,231 metric tons of fish and 394,767 metric tons of shellfish were landed in Atlantic Canada in 2016. That’s about half of the fish, and almost all the shellfish, caught in Canada in 2016. A region of Nova Scotia called Digby hails world-renowned scallops. In fact, the large, robust, buttery breed are known as Digby scallops. If shellfish is your thing, you’ll want to make it to the region’s famous Scallop Days, a three-day festival celebrating both scallops and the people that harvest them. Here you can get ocean-to-table scallops just about any way. And if you’re lucky, you’ll also get a taste of some of the region’s equally renowned haddock, salmon and lobster. 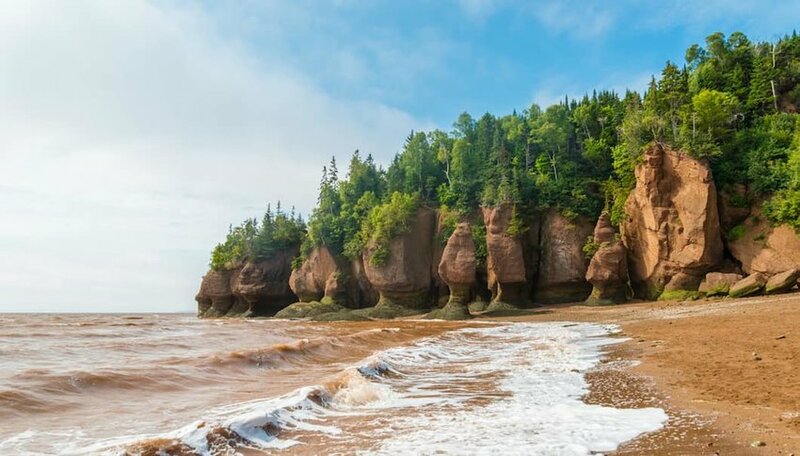 Eastern Canada’s Bay of Fundy heralds the highest tides on Earth and is one of the world’s natural wonders. According to the Ocean Conservancy, each day some 175 billion tons of water rushes in and out of the bay, causing it to swell to a height of 53 feet, the height of a five-story building, before sinking away to almost nothing. If this doesn’t sound impressive enough, the daily change in volume is so massive in the bay it actually causes a shift in the region’s gravity. That means a part of Nova Scotia and New Brunswick lean into the bay at high tide and away from it at low tide. To see these epic tides in full action experience a tidal bore, a standing wave created when water from an incoming tide clashes with the current of a fairly narrow bay or river. For the best tidal bore views, check out some of the river tributaries connecting to the Chignecto Bay and Minas Basin. If that’s too confusing simply ask a local where to go for the best sighting. Looking to be adventurous? Book a tidal bore rafting tour and ride the wave for a chance to experience the true power of the bore. 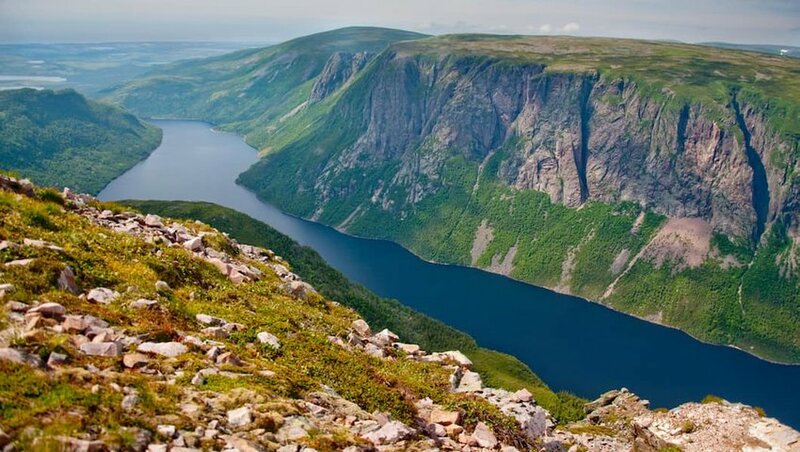 If jaw-dropping views and getting out in nature are your thing head to Gros Morne National Park. This UNESCO World Heritage Site that took 485 million years to form is unlike anywhere else on the planet. With its deep green fjords and craggy cliffs cut by weathered beaches it’s not surprising the Vikings once roamed these parts. And the park is home to plenty of wildlife, both sea and land species. Here it’s not uncommon to see a moose, rare pitcher plants and several species of seabird and whales all in one day. Oh right, and maybe an iceberg or two! All that amazing scenery, plus the park’s encompassing 696 square miles, is enough to satisfy just about any hiker or nature enthusiast. And for all those sunrise chasers out there, according to the government of Newfoundland and Labrador the continent’s most easterly point falls in Gros Morne, meaning it boasts North America’s first sunrise. Eastern Canada is sometimes called Canada’s ocean playground for a reason. 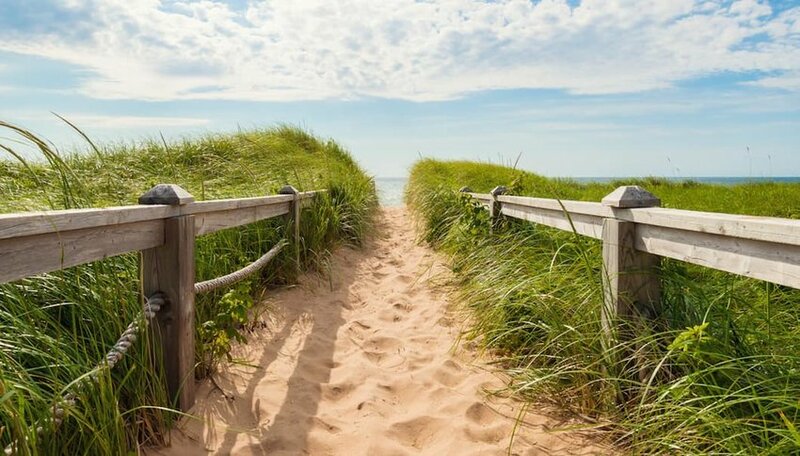 According to their respective government’s, Nova Scotia, New Brunswick and Prince Edward Island boast more than 77 supervised beaches that are part of either national or provincial parks. And most Atlantic Canadian beaches aren’t exactly crowded, even in the height of summer. That could be because there are simply so many of them. By some estimates there may be well over 200 unsupervised beaches in Eastern Canada to enjoy. If you’re looking for tropically warm, crystal clear waters check out just about any beach on Prince Edward Island. Some parts of P.E.I. reach average summer water temperatures of 25°C in August, so the so-called gentle island might have you thinking you’re in the Caribbean. 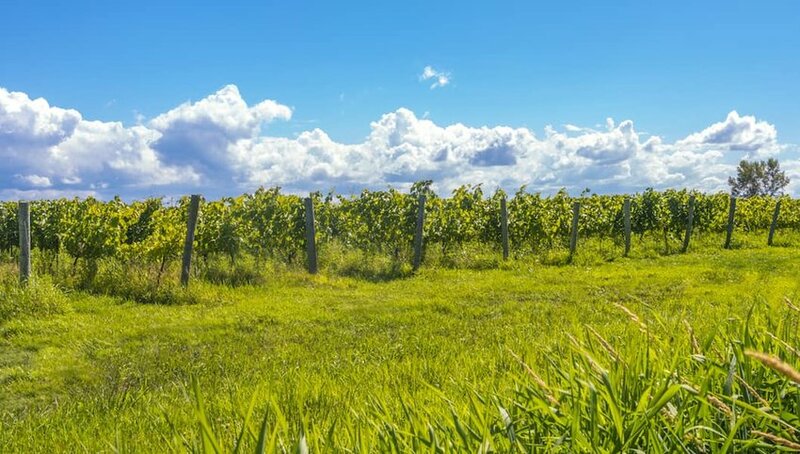 Eastern Canada, in particular Nova Scotia, has become a wine region all in its own. By tallying up government tourism info there are at least 86 local wineries, 77 craft and micro breweries and 22 distilleries exist in Eastern Canada, most of which are in Nova Scotia. Want a little bread and cheese to go with all that wine? Dine at some of the region’s acclaimed restaurants where chefs tend to focus on local, fresh ingredients. For more exclusive tasting opportunities check out some of the many festivals going on as part of the Nova Scotia Fall Wine Festival that runs from September to October each year. Everyone should have a good whale encounter at least once in their lifetime. And during the summertime, the Bay of Fundy is one of the best places to get this experience. At least 12 species of whales use the bay as a nursery during the summer and early fall months. So whales are plentiful in this relatively small bay during the summer, making the chances of spotting them astronomically higher. Just to make the odds of a whale encounter even higher, most local tour operators know where to find certain whales because they’ve worked with them for years, sometimes even decades. And as a bonus whales are usually seen with babies in tow. After or before hitting up Scallop Days make a trip down to one of the country’s most pristine nature reserves on Briar Island for some world-class whale watching. 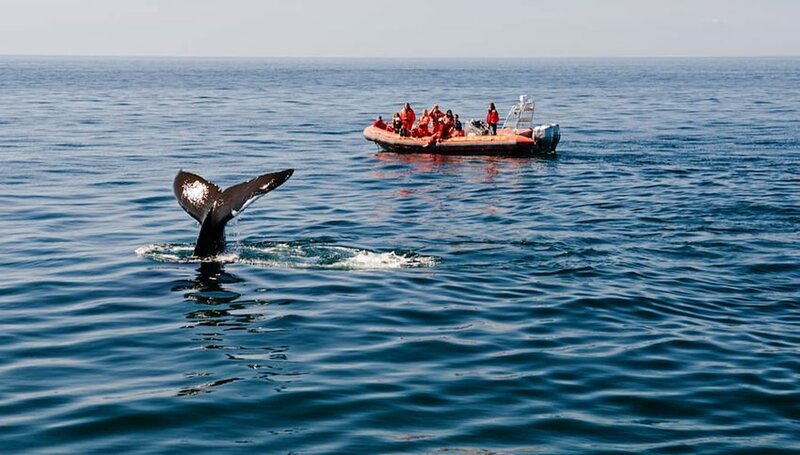 And don’t let the name fool you, on a typical whale watching tour expect to see plenty of the other marine and seabird species that summer in the bay. For the engineering buffs out there the Confederation Bridge is an awesome place to nerd out. 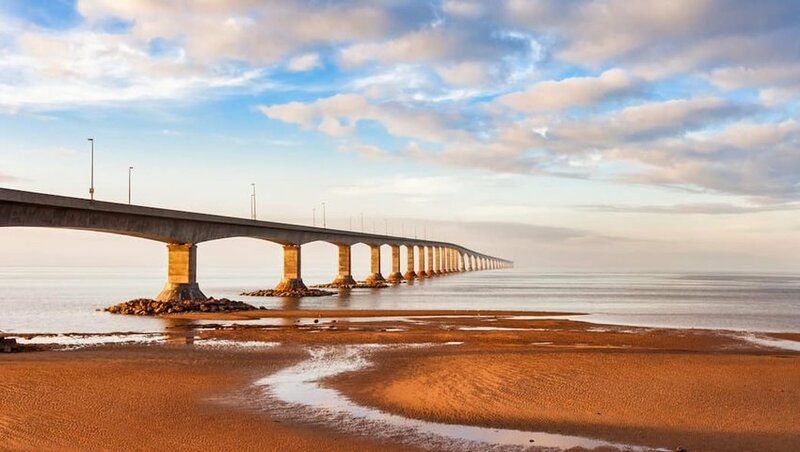 According to the developers the Confederation Bridge is 8 miles long, making it the world’s longest bridge. As if that weren’t enough, consider that the bridge spans waters that are frozen a portion of the year. One of the best parts of checking out the Confederation Bridge is where it leads to— Prince Edward Island. That makes adding a visit to the bridge to your travel list is a no-brainer, because no trip to Eastern Canada is complete without a trip to P.E.I. Jennifer Huizen has been writing for online publications for over four years and her work has appeared on sites such as MedicalNewsToday.com, Audubon.com and ScientificAmerican.com. Originally from Nova Scotia, Canada, Jennifer is an avid traveller who has visited six continents and counting.